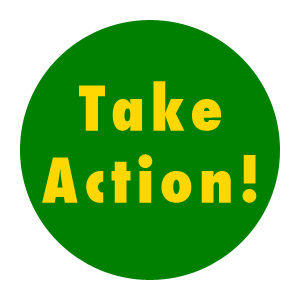 Action Alert: Tell FDA to give farmers more time! Click here for latest action alert posted on October 16, 2013. The Food and Drug Administration (FDA) has proposed 1,200 pages of rules for farmers and food producers that would regulate every aspect of growing, harvesting, and processing foods. FDA took two years to develop these proposed regulations under the federal Food Safety Modernization Act, in which Congress directed FDA to issue science-based regulations. But FDA’s proposed rules are not based on sound science. Instead, the FDA has written extensive, complicated new requirements that basically assume the worst of every situation and then force the farmers to find science on their own to prove that their farming methods are safe. Many traditional and sustainable methods of cultivation will be guilty until proven innocent. Although small, direct-marketing farms and processors are exempt from the new rules under the Tester-Hagan amendment, there are many family-owned and operated farms that don’t fall within the amendment. In addition, opponents of local foods are already looking for ways to undermine the Tester-Hagan amendment and impose these unreasonable regulations on every farmer and food producer, no matter how small. Over 270 organizations and farms sent a letter asking the FDA to extend the deadline for public comments, but FDA has not yet responded. Will you join us in urging FDA to giving farmers and food producers the time they need to understand the proposed rules and provide comments? Speak up now! The deadline is May 16, 2013. I am a ________ (consumer, farmer, food producer, etc. Explain your interest in the issue in a sentence of two. It really makes a difference to personalize your comments). I urge FDA to extend the comment period an additional 120-days to allow farmers and food producers sufficient time to properly analyze the rule and submit comments. FDA’s proposed rule is not based on sound science. The current proposed rule simply assumes the worst-case scenario, and then shifts the responsibility to the farmer to prove otherwise. This is not consistent with the Food Safety Modernization Act, and it is not in the best interests of the American public. I urge FDA to overhaul the proposed rules so that they properly address the science and risks. At a minimum, I urge FDA to provide an extension to the comment period so that farmers and food producers have the time necessary to analyze these complicated issues and submit their comments. These talking points address some of the specific issues with the proposed regulations, so you can pick and choose the ones that are important to you. Or simply stick with the sample comment shown above – a short comment works well! The proposed regulations are ambiguous, and the potential for unfair enforcement is significant. There are numerous places where FDA sets a very subjective standard, so that the violation will be in the eye of the beholder – or whichever FDA inspector happens to come to that farm. The extensive record-keeping requirements of every aspect of the farm and food production would be crushing to small and mid-sized businesses. Family-owned and operated farms know that their future depends on providing safe food. They should not be subjected to unnecessary, complex, ambiguous regulations that will serve only to drive many good producers out of business. The 9-month waiting period between applying animal-based soil amendments is too long for most cases. The restriction covers not only raw manure, but vermicompost or any other compost that hasn’t been documented to meet FDA’s standards. It also includes compost teas that simply use ingredients such as molasses or seaweed. Weekly or even monthly water testing requirements is unnecessary and extremely expensive. Frequent testing is expensive and, in many cases, not practical because there are few companies licensed to do such testing. While it is important that water not be contaminated with harmful bacteria, that is a responsibility of the general public (acting through agencies such as the EPA), and the costs should not fall on farmers’ shoulders. The Tester-Hagan amendment, which exempts small-scale direct-marketing farmers from these rules, reflects the will of Congress and is not open to debate at the regulatory level. Congress has already made the determination that these types of farms are different, and it is inappropriate for FDA to consider any comments that try to narrow the scope of Tester-Hagan. For farmers that are exempted under the Tester-Hagan amendment, the proposed rule does not provide sufficient due process before revoking the exemption. Combined with the requirement that the farmer comply with all the regulations within 60 days, this could effectively kill a small farm that should not even be subject to the regulations. We are still working on the detailed analysis of the issues presented by FDA’s 1,200 pages of proposed regulations. But we need you to speak up NOW! The agency needs to hear that many people, both farmers and consumers, object to these convoluted and overly burdensome proposed rules.